People living along the coast of Peru were eating popcorn 1,000 years earlier than previously reported and before ceramic pottery was used there, according to a paper published in Proceedings of the National Academy of Sciences (PNAS). Some of the oldest known corncobs, husks, stalks and tassels (male flowers), dating from 6,700 to 3,000 years ago were found at Paredones and Huaca Prieta, two mound sites on Peru’s arid northern coast. Saw this today on Facebook. Loved it and had to share it with you all. Again, via Facebook at work (I am so glad that social media is part of my job description! ), I discovered that the Third Cuy Festival will be happening in Lima on December 18th! Now, when I read the title, all I read was “This coming 18th of December, Lima will have the Third Guinea Pig Festival…”; that was more than enough to get me hooked, and I clicked the link. To my surprise (although I am not sure why I still get surprised), the link took me to a page called “Peru, passion for food”. I was confused. I thought this was going to be something cute, not murderous! I should have finished reading the title, “…where more than 20 different dishes will presented using guinea pig meat.” For those unaware, guinea pig is a common dish in Peru, primarily in the Andes. Read my previous post if you would like to know more about it. The article goes on to talk briefly about the reason for eating it and how long it has been used as a food sources, blah blah blah. But at the end, it mentions that the market demand for the meat has increased beyond the traditional South American countries to also include the USA, Europe and Japan. Really? Japan? 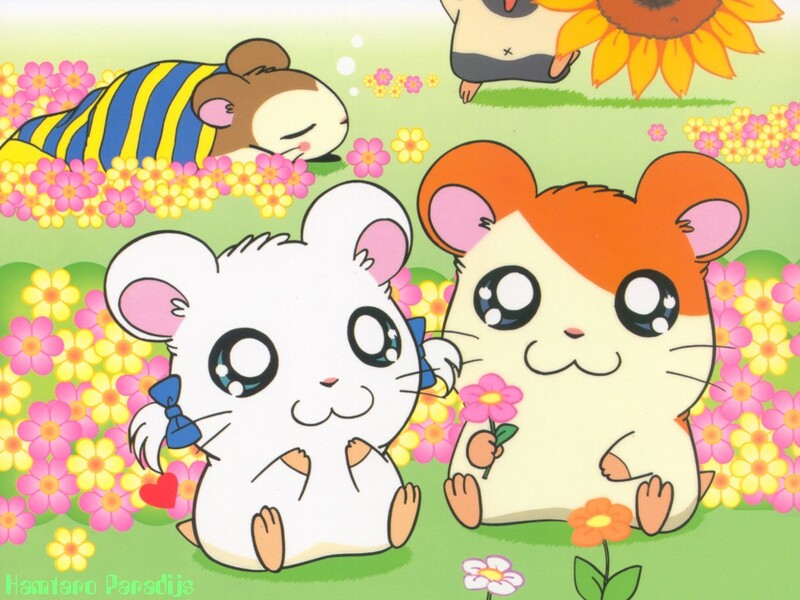 They have an anime about guinea pigs…well, hamsters, but still they are related! How could they eat Hamtaro’s cousins?! Or ask Jack Scott, from Perking the Pansies, how he would feel eating Benny and Jet! As I always try to remind myself: When in Rome, do as the Romans! So, I will check out the festival and see what creative dishes they have created using cuy. I am hoping that I will at least get a little more than I did from my first try back in February. If you are interested, you can click here to see the site. FYI, it is all in Spanish. 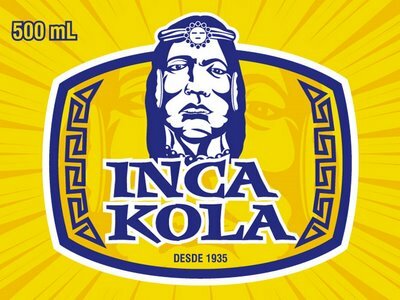 Inca Kola is a soft drink (or as I call it, pop) that originated in Peru in 1935. It was created by an English immigrant and is as ubiquitous in Peru as Coca Cola is in the United States. Widely popular in Peru, it does not have much of a role in foreign markets, outside of the Latin American specialty shops. The drink is yellow in color and apparently was made from 13 different flavors derived from plants and carbonating it; strangely, the drink tastes like bubble gum (so maybe bubble gum isn’t all artificial flavor after all?). I doubt that today it is still made from plants, but it is nice to know its humble roots were organically based! Food Delicacy – What Does It Mean To You? Delicacy. What is that? Webster’s dictionary says that it is “the quality or state of being luxurious; something pleasing to eat that is considered rare or luxurious.” What comes to my mind when people use this word to describe food tends to be things like caviar, Kobe beef or the puffer fish. Something that is sort of unobtainable because of price and usually reserved for special splurges or occasions. Yes, just as you might imagine, these guys are sautéed and fried with a little bit of garlic and salt. Apparently, crispy on the outside and gooey on the inside. Yum? Are you a cheese lover? Just love the moldy goodness of a fine brie or camembert? What about the smell of Lindbergh cheese? How about a jiggily surprise? 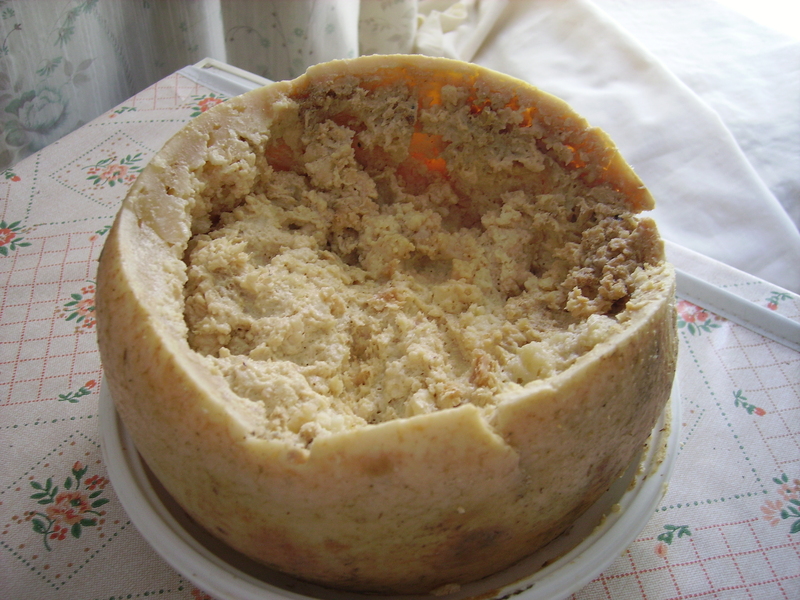 Yes, in Sardina, the cheese can wiggle-waggle just like good ol’ J-E-L-L-O. Only it’s not gelatin…it’s maggots! Apparently, introducing cheese fly (how aptly named) larvae into the cheese helps it ferment because those little buggers digest the fat. And you have to eat it while those guys are still alive because when they are dead, it has been reported to be toxic. So much so, that it has actually been banned for health reasons. Bon appetito! Now, you are probably wondering why I am talking about this. It has to do with my Thanksgiving picture from yesterday. 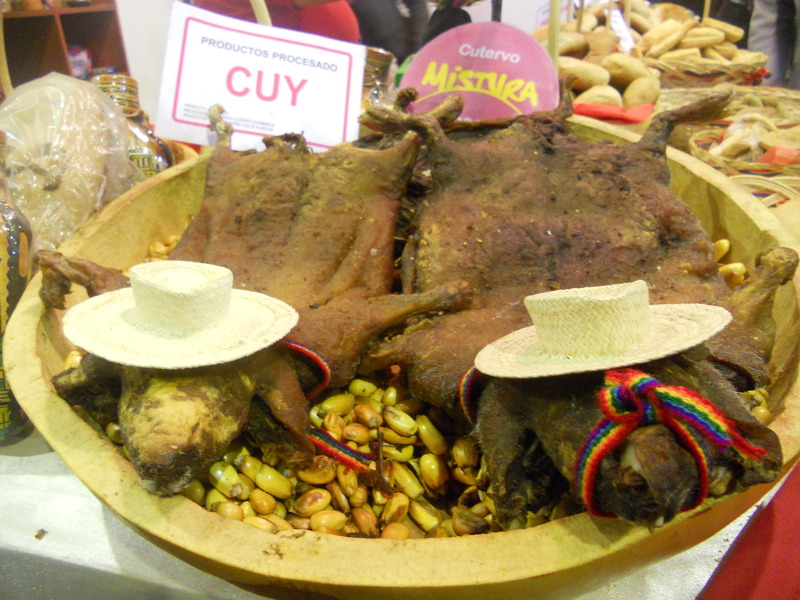 You see, here in Peru, the guinea pig (known locally as cuy) is quite the delicacy. It seems so hard to believe that people could eat these little guys, as they are pets in the USA and Europe. But here in Peru and South America, they have been domesticated since well before the Inca; it is believed to have started around 5,000 B.C., although the earliest evidence found dates to 500 B.C. These furry friends have been a dietary staple for the Andean people for a long time and traditionally raised solely for subsistence consumption within the household. There are still wild cuy roaming the hinterland, and they are used for other ritualistic and medicinal things. I will talk about what and how (it is pretty interesting) in a future post. 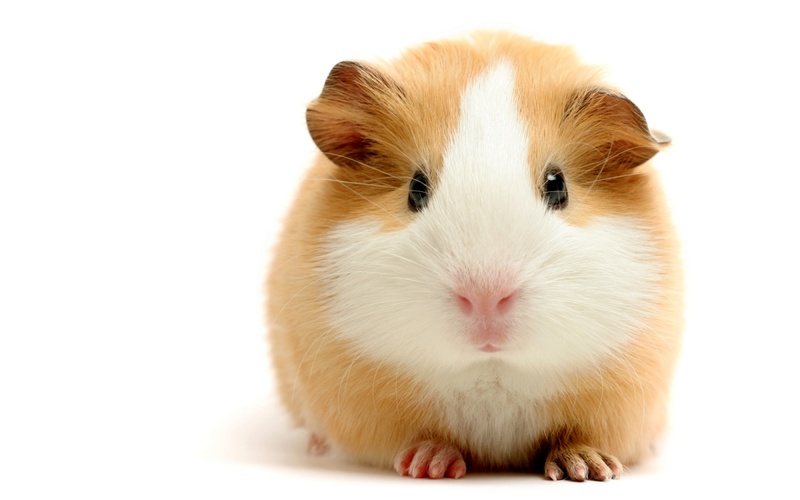 Cuy are typically housed indoors and kept in the household kitchen, where they are allowed to run around freely. Most highland families keep at least 20 animals in this fashion and feed them a great variety of food such as alfalfa or a good selection of leftovers or scraps. 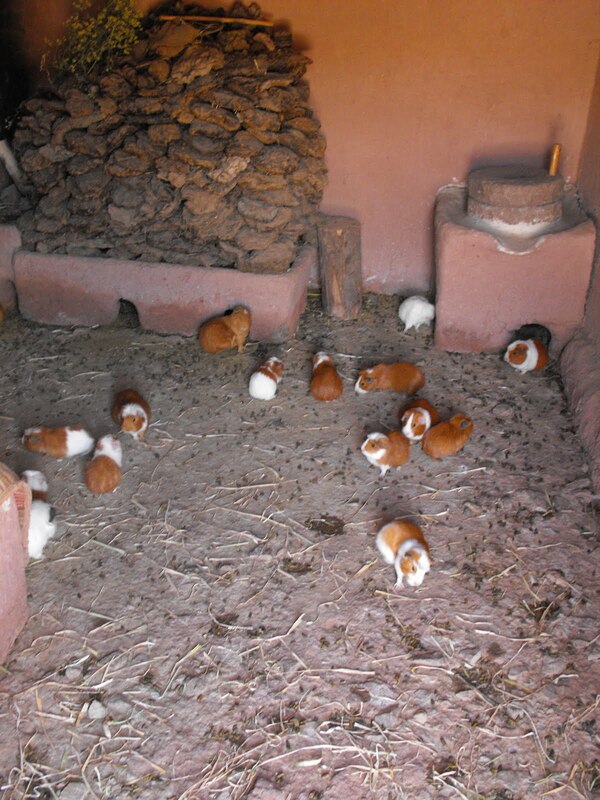 I don’ t know if you have ever heard guinea pig squeaks before, but when there is a group of 10 or 15, it’s a little bit like being in a science fiction movie. I just feel like they are an alien species trying to communicate with me. 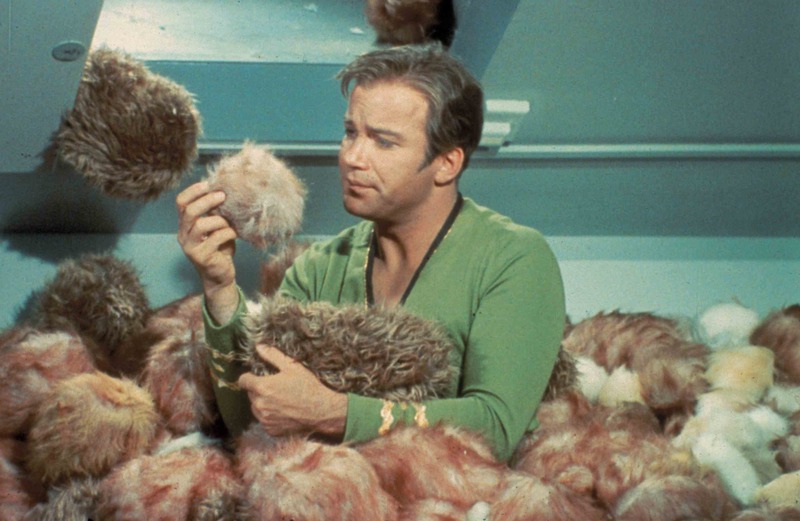 I often have the episode from the original Star Trek series in my mind, when Captain Kirk meets the Tribbles! Now, as much as I felt bad, I decided to be bold and try a little guy. After all, it is better than fried tarantula. You can find them totally intact, like a pig on a spit: with their little faces and feet. The difference is that they are skinned, fried/barbecued and stuck on a stick like a giant corn dog…sans the breading. I chose to go a fancier route and had it braised and plated with mashed potatoes and vegetables. It looked like miniature lamb shanks. It wasn’t bad, I will admit. A little greasy like duck, with a mild gamey aftertaste. The only thing is that there are plenty of bones and not much meat. I worked pretty hard to get every bit off, and I think at the end of the meal I was actually hungrier! 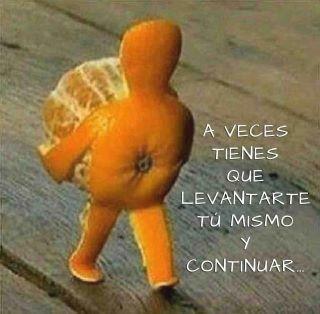 But I gave it a try and that is what counts. Would I call this a delicacy? No, not really. 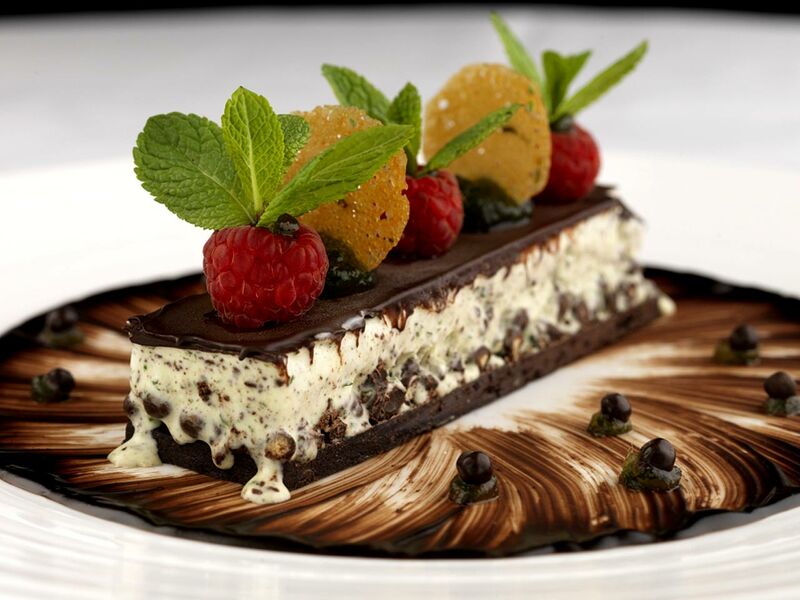 Is it something luxurious or pleasing to eat? Again, I don’t think so. And it definitely is not rare. It is pretty common here in Peru, nothing so special about it to the locals. 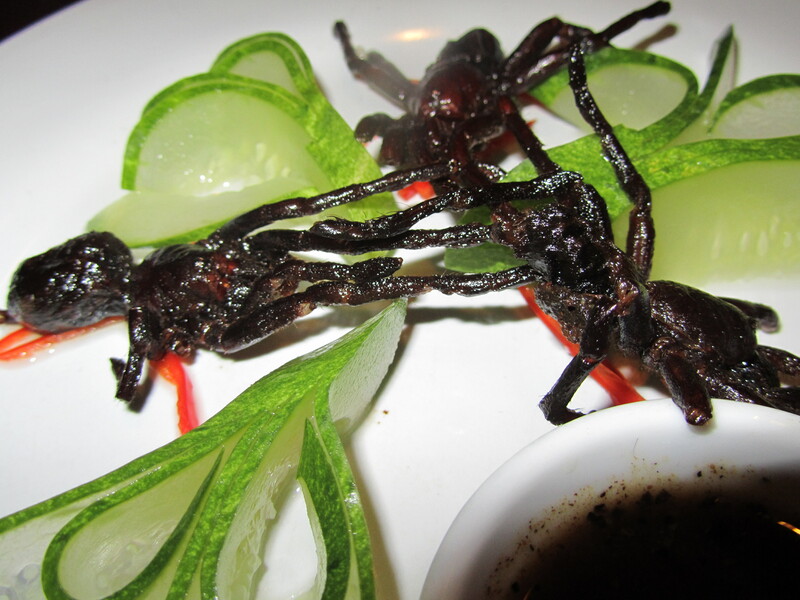 The specialty (and thus the reason it gets to be touted as a “delicacy”) is that most foreigners view these as pets. So, by slapping on this description, the tourism industry has found a spectacular way to posh up something that will surely disappoint/sadden/appall some people. And I am not sure how the people in Switzerland will feel about it. They have a law that says you cannot keep just one by itself, as they are social animals. So when one dies, you have to get at least one more to keep the other one company. Or you can rent one from this lady. So, just remember that the next time you are traveling and hear the word “delicacy”, be prepared…you might just be about to crunch down on some furry/gooey/squirmy goodness! Just wanted to wish everyone a Happy Thanksgiving. Unfortunately I will be missing out on the feast this year, but has not stopped me from eyeballing all the photos on Facebook from friends back home who are preparing for the army of family about to converge on a cornucopia of food. I found this image and thought it was fitting to give a big salutation from Peru. 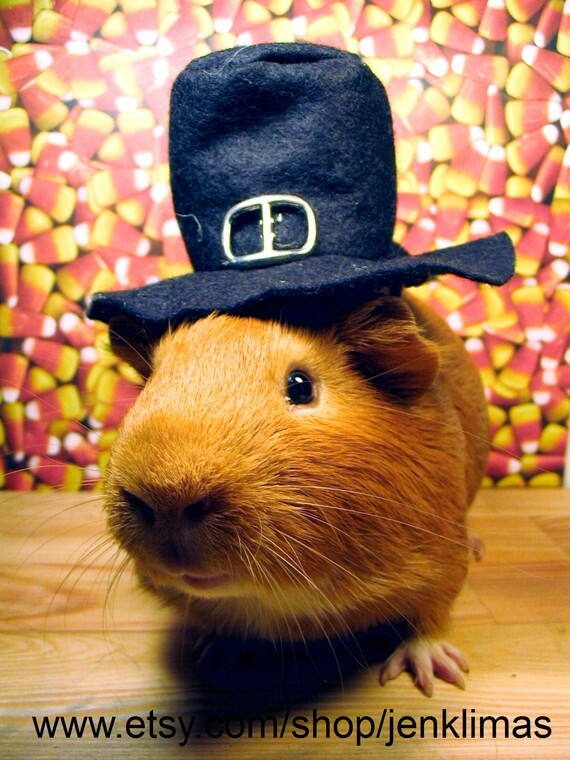 It is a guinea pig in a pilgrim hat, and it is significant from Peru because guinea pigs are a delicacy here…so I like to think of it as s/he is thankful for having today off while every gobbles down the turkey. 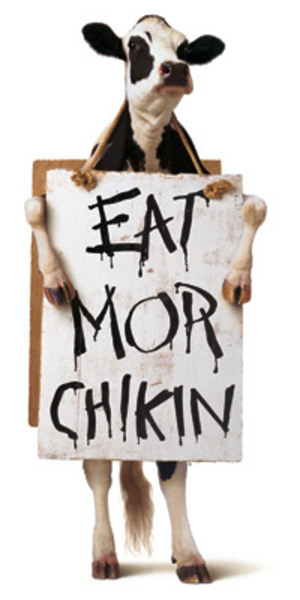 It is kind of like those Chic-fil-A ads where the cow is walking around saying “eat more chikn”! Thanksgiving is one thing I always miss when I am abroad. I have tried to recreate it many times, but it just isn’t the same. And it doesn’t help when I am the only one really excited about it. People just don’t seem to get it…which I don’t understand. It is a a FEAST of delicious food. This year in Peru, unfortunately, I don’t think I am going to put the effort into making a mini Thanksgiving. I just don’t have the time. But while I was looking around online for work, I came across this! How funny/creative/delicous! I wouldn’t mind trying that green chili dough, either! This is just another reason why I love New Mexico! 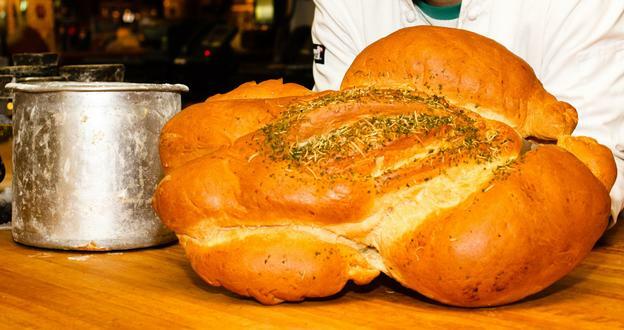 BBC – Travel – A bird made entirely of bread : Food & Drink.